Calling all meat lovers! Here's a restaurant that'll cater to your every meatyholic craving. 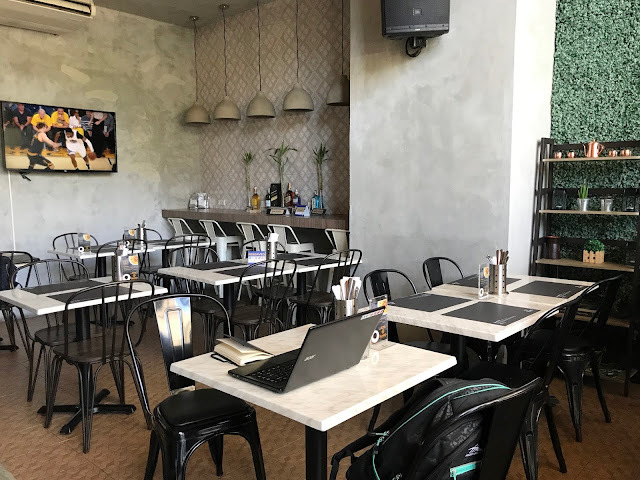 Seared Restaurant & Lounge is located at Ortigas Techpoint building in Pasig. 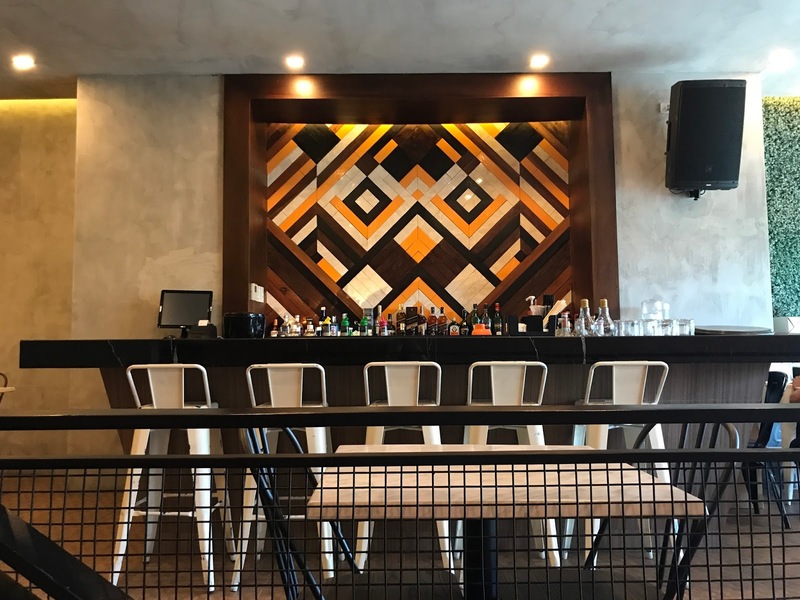 The restaurant offers several of our favorite American dishes, and is making waves in the food industry for serving juicy meats through the cooking method called sous vide. The restaurant gives a loose and mellow overall vibe as it features a modern but minimalist interior, with black and white furniture, and rose gold-colored displays and ornaments in grass wall corners. The sizzling sausage is a plain bar chow perfect for sausage lovers like me. It may not taste as fancy, but I enjoyed it still. Seared's gambas is my favorite out of all the bar chows we've tried. I loved its clean and simple taste, with a hint of spice that gave each bite a bit of a kick. The salt and pepper pork tasted very familiar, as it is similar to a lechon kawali (or pork chop? ), but loaded with onions and green peppers. It's not really spicy, but I believe it will be a great pulutan for those who are having a few drinks. I think I would have liked it better if it came with a vinegar sauce, although I was told you should ask for it as they normally serve it without the sauce. The cowabunga is Seared's cuter, more convenient and less messy alternative to our favorite nachos. These are taco cups filled with wagyu beef chilli, homemade bechamel cheese sauce, bell peppers, and chopped tomatoes. I honestly liked this a lot since I got all the flavors of the nachos in one bite. Malcom's X Burger is composed of sauteed mushrooms, smoked bacon, and fried egg. I am usually easy to please when it comes to burgers, but something about this burger made me think otherwise and I think it's the patty's taste. The Godfather is your ultiMEAT platter! 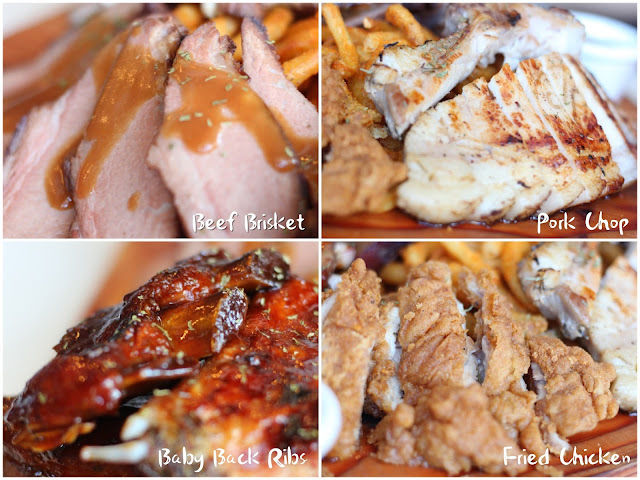 It comes with servings of French-cut pork chop, wagyu beef brisket, country style fried chicken, and BBQ baby back ribs. This huge platter of meat is a must order for groups. It is definitely worth the price considering its size. I seriously liked the baby back ribs and fried chicken from this platter. Marinated whole chicken deep fried until golden brown, and served with homemade chimichurri and salsa. This chicken smells and looks exactly like another famous fried chicken in the country (can you guess what that is???). It tastes different though, but delicious nonetheless. 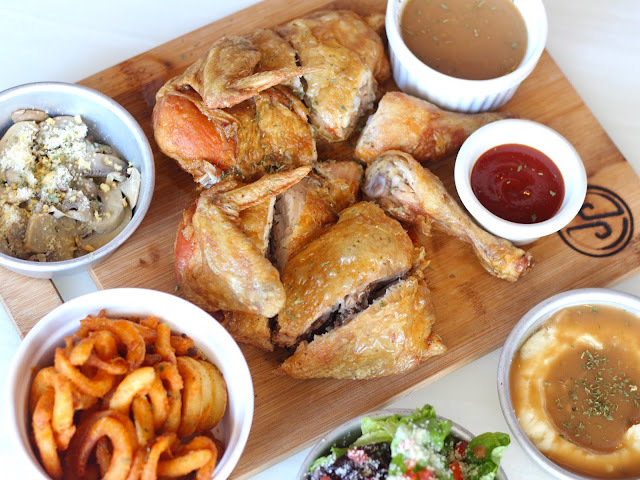 We tried having this chicken with 4 sides namely the mashed potato, garlic mushrooms, curly fries, and side salad (which I wasn't able to try). I liked all the sides, but I'm gonna go ahead and strongly suggest that you try their curly fries. For dessert, we were able to try Seared's skillet s'mores topped with vanilla ice cream. At first we thought it was a normal s'mores dessert served in a skillet pan, until we looked for the graham crackers that are usually dipped in the marshmallow-filled skillet. Seared's version also has some peanut butter underneath, which went so well with the fluffy marshmallows and the cold vanilla ice cream. Love Hurts. 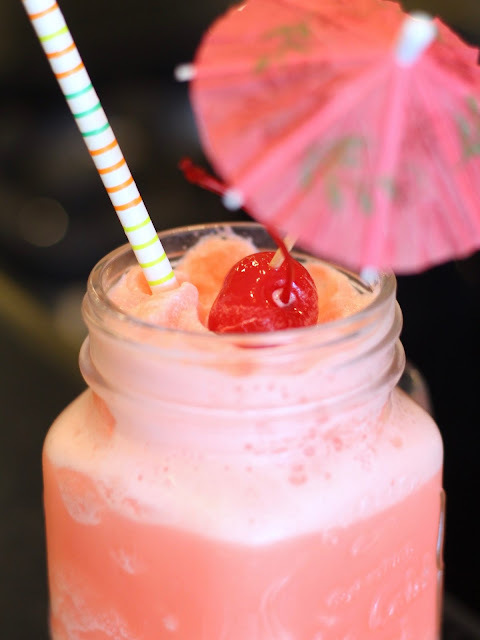 Strawberry yogurt mocktail. Kadence. Cucumber, basil, lime, watermelon. Seared offers affordable, delightfully sinful and addicting American dishes perfect to get your meat fix every once in awhile. I was able to try a lot of their offerings, but I'm still looking into trying their steaks and their cheap but appetizing rice bowls. Check out Seared's ongoing promos! Unlimited Wine everyday from 7pm-11pm for P395, and the beer bucket promo for P195. Is your birthday coming up? Celebrate with Seared on the day of your birth and get a 15% discount on your bill. How much happier can your birthday get? !